I didn't recognize the number when the call came in. I didn't answer the phone because I was with Gracie - and there was no message left. I called the number back and it said it was the Mayor's office. I was intrigued and a little scared. But then I got a text from my friend Rob Bennett - "Got a second to talk? Got a project to discuss." It all made sense. He had just started a great new gig as the head of photography for Mayor De Blasio. 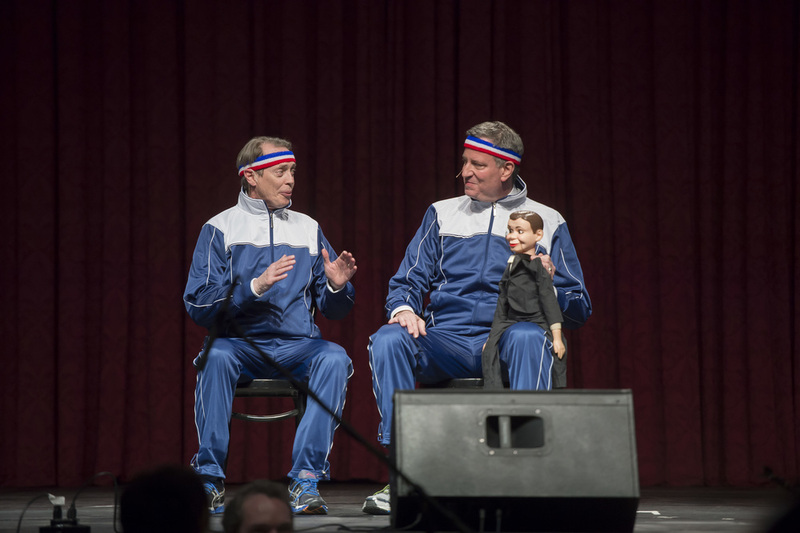 It turned out that Mayor De Blasio and his team were busy at work on their rebuttal show for the Inner Circle, the annual roast that the NYC Press does (and has for 92 years) skewering the Mayor. Remember Giuliani in a dress? 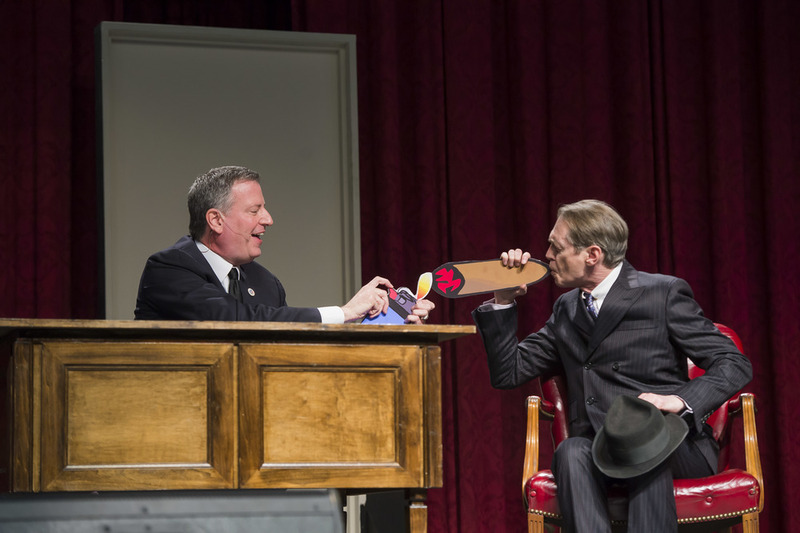 For years Mayor Bloomberg hired Broadway shows and their teams with his own money. Well, this amazing mayor (for whom I voted in the primaries and for whom Melissa worked as an intern in the Public Advocate's office) needed some help putting it all together. So with 2 1/2 weeks I teamed up with writers Jon Macks and Dave Boone in LA and Rebecca Katz, my new pal in the Mayor's office and got down to work making a cohesive show that introduced the Inner Circle to the new sheriff in town. It was fast, it was furious, and it was top secret. 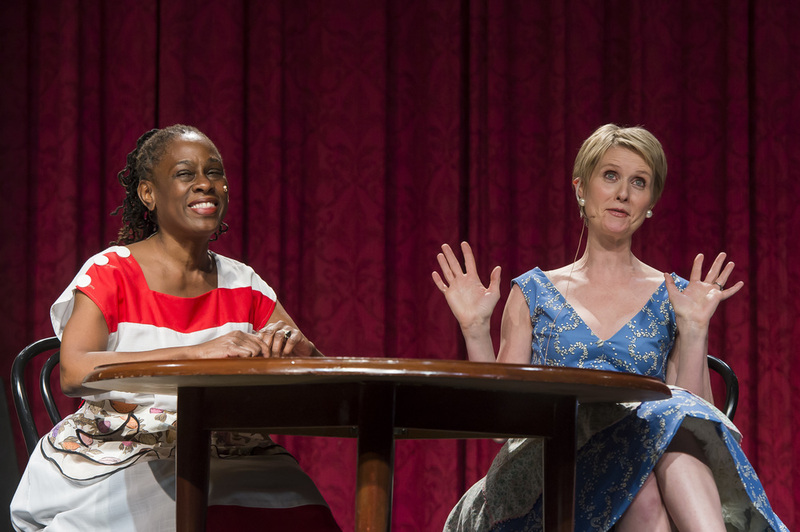 We already had Steve Buscemi and Cynthia Nixon on board to perform with the Mayor. Rev. Al Sharpton came along for the ride to play Jeopardy with the Mayor (that was an incredibly fun rehearsal). 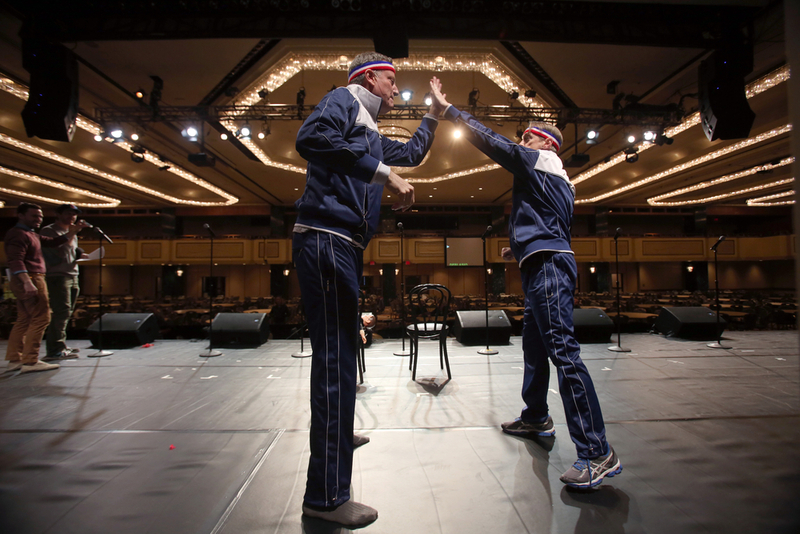 I recruited Adam Wachter and Parker Esse to help make an opening number. The First Lady of NYC (or #flonyc - pronounced Flow-nice) joined in for a great bit. Chris Rock, Rosie Perez & Al Roker joined us for some video footage. 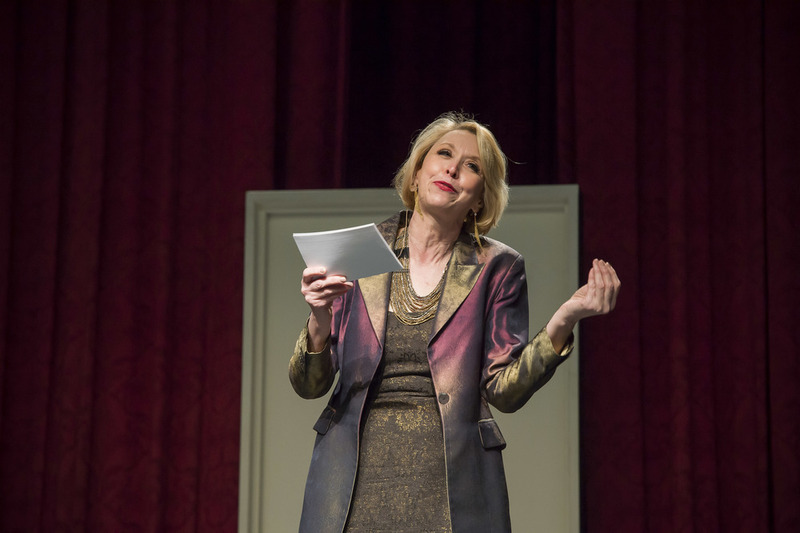 And of course, no event is complete without Julie Halston as a rich Upper East Side doyenne. 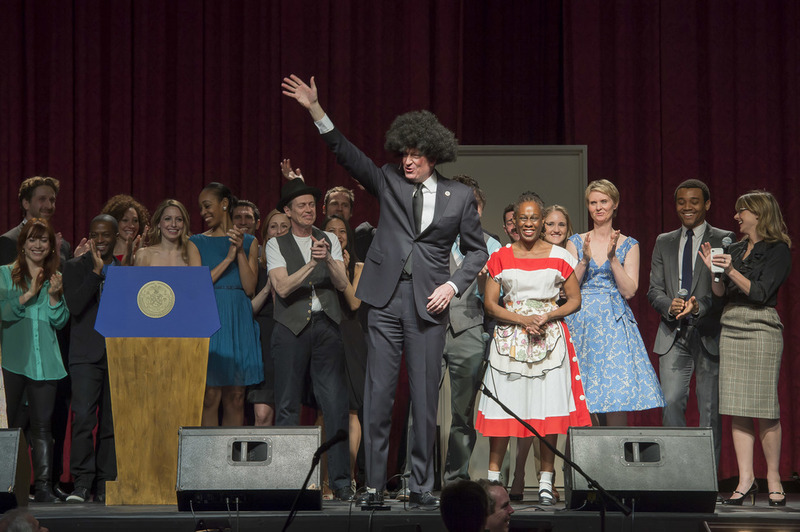 But the star of the show was Mayor De Blasio. He's just incredible. He has such a natural grace and ease and sense of humor. He's self effacing and goofy in the best way, able to take what is naturally funny about himself and exaggerate it. His timing is amazing and he's collaborative in the writing. He knows what he likes and what he doesn't - and knows why he feels that way. Watching him and Rev. Al bat around ideas for their sketch was one of the greatest things I've ever seen. I was so honored to have his ear and his trust. For the last week before the event I drove back and forth from City Hall to Goodspeed about 4 times, doing double duty with Damn Yankees. MANY thanks to the team at Goodspeed for lending us some props and costumes and for working with my crazy schedule to make it work. This past Saturday, after a way too quick dress rehearsal during the day, Melissa and I put on our formal best (tux from my brother's wedding) and made our way to The Hilton for the big night. The room was full of Senators and former Mayors and fancy people (Jenny Gersten) and all the newspeople in New York. It was so fancy, and such a thrill. And we got to sit with Julie Reiber (wife of Rob Bennett, and the whole reason that I was there in the first place! Thanks Julie!) which was nice for Melissa when I had to run backstage for last minute prep. I was more nervous for this one than I was for most things I've ever done. But once the laughs started, they didn't stop. Couldn't have gone much better. Getting to make theater and serve my liberal agenda - dream come true. Here are some pics of the event. All photos by Rob Bennett, of course. (Nod to the 52nd St. Project with the props). I'll post the fancy pics of Melissa and me with the first couple when they come in.